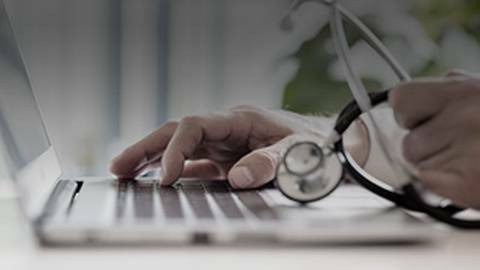 Welcome to Inside Medicare’s New Payment System on ReachMD, sponsored by the American Medical Association. Dr. Birnholz: If you’re familiar with coding and reporting physician office visits but aren’t exactly a fan of the documentation guidelines Medicare and other payers established over the years, you’re definitely not alone. While these guidelines were created to ensure that the level reported for office visits was correct, physicians have long complained that they lack transparency and consistency, leading to unintended consequences within electronic medical records. 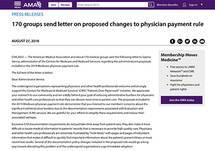 But there’s a response to this issue from the Centers for Medicare and Medicaid Services, which proposed significant changes to the documentation standards and payment for office visits, and these changes will be the subject of today’s discussion. This is Inside Medicare’s New Payment System, and I’m Dr. Matt Birnholz. Joining me are Doctors Peter Hollmann and Barbara Levy, who are the co-chairs of the American Medical Association’s CPT Editorial Panel and Specialty Society RVS Update Committee, or RUC, Workgroup on Evaluation and Management Services. Doctor Hollmann, Doctor Levy, welcome to you both. Dr. Hollmann: Thank you for having us. Dr. Levy: My pleasure to be here. Dr. Birnholz: So just to start us off, Dr. Hollmann, can you explain what the new CMS proposal entails? Dr. Hollmann: Sure, but first, let me begin by saying that we truly applaud CMS for providing the opportunity to address the documentation burden that has plagued physicians for many years. 170 medical organizations and other health care professionals signed on to a letter a few months ago agreeing to the changes that CMS will implement immediately for January 1, 2019, and these are, first eliminating the requirement to document medical necessity of furnishing visits in the home rather than the office. Two, physicians will no longer be required to re-record elements of history and physical exam when there is evidence that the information has been reviewed and updated. And three, physicians must only document that they reviewed and verified information regarding chief complaint and history that is already recorded by ancillary staff or the patient. We are very appreciative of these immediate changes. However, CMS originally proposed for 2019 and now to be delayed until 2021, significant changes that do not have the support of medicine. Essentially, CMS developed a solution to documentation issues that would reduce burden but at the expense of no longer recognizing payment differences for different levels of work performed. And the different levels of work are directly related to the needs of the patients. The current five levels of services would be reduced to three levels of payments. Then a series of add-on codes would provide additional payment for primary care services, certain specialty services, and for visits that required extended time. We believe that there is a better solution that remedies the documentation issues while allowing for differences in payment to recognize resources required to provide office visit care for patients. Dr. Birnholz: That’s great, thank you for that Dr. Hollmann. Dr. Levy let me turn to you now, what can you tell us about the CPT and RUC Workgroup on evaluation and management services, also known as EM services, and what guides your work to develop a better system? Dr. Levy: Of course. So Dr. Ken Brin, Chair of the CPT Editorial Panel and Doctor Peter Smith, Chair of the RUC, created the Workgroup which is comprised of six members each of the CPT Editorial Panel and six members of the RUC. First we agreed that we’re committed to changing the current coding and documentation requirements for office E/M visits to simplify the work of the health care provider while we improve the health of our patient. The first is to decrease administrative burden of documentation and coding, and this was overall the goal throughout this process. And finally, to ensure that payment for E/M services is resource-based and that there is no direct goal in the process for payment redistribution among our specialties. We got to work really quickly even though it was the middle of summer and convened five, two-hour conference calls and one face-to-face meeting. Many of these meetings were attended by more than 250 individuals. The commitment by the house of medicine to getting this right over a short period of time was really impressive. We conducted surveys of the national medical specialty societies and other health care organizations to provide direction to the workgroup and we relied on that information in making our decisions. We have submitted the results of our work to the CPT Editorial Panel for review and we believe that we have developed a real path forward that will benefit both physicians and patients. Dr. Birnholz: For those just tuning in, this is Inside Medicare’s New Payment System on ReachMD, and I’m Dr. Matt Birnholz. Today I’m speaking with Doctors Peter Hollmann and Barbara Levy about the proposal from the CPT and RUC Workgroup on Evaluation and Management Services. Dr. Birnholz: So Dr. Hollmann, what can you tell us about the general proposal that you delivered to the CPT Editorial Panel? Dr. Hollmann: Yes, in general terms, we agree with CMS that the selection of the level of the office visit should no longer be determined by the extent of the history or of the physical exam performed on the patient. The clinically relevant history and exam of course remains important for patient care and the physician should document what is medically important, but the checklists and “note bloat” that stems from these requirements is not helpful to the patient and physicians have long complained about this undue burden. In general, our proposal would retain the necessary levels of service, differentiate payment, and would base documentation on either time or medical decision making. We have provided a proposal of enough detail and definition that it should provide a consistent set of instructions for office visit reporting, eliminating the need for inconsistent guidelines from various payers –which is another source of burden to physician offices. Dr. Birnholz: Dr. Levy, when will this proposal be reviewed, and if approved, ultimately implemented? Dr. Levy: The CPT Editorial Panel has shared the proposal with more than 100 advisors who are now in the process of reviewing the application. The proposal, the advisor comments, and the comments of any other interested parties, will be considered by the Editorial Panel in our meeting in early February 2019. If adopted, the changes would be published in CPT 2021. CMS has stated that they plan to implement office visit changes on January 1st of 2021. So we’re on track to provide an alternative under the same timeframe. Dr. Birnholz: And just as a follow-up to that, do you think that CMS will actually use the alternative proposed by your Workgroup, if it’s adopted by the CPT Editorial Panel? Dr. Levy: We are very hopeful that CMS will agree that our proposal, one that was developed with consensus of the medical community, is a significant change that addresses their desire to reduce documentation burden. We have encouraged CMS to review the proposal and offer us suggestions for improvement as it is reviewed by the CPT Editorial Panel. I am encouraged that CMS will look to a consensus effort in developing the best solution. Dr. Birnholz: Well clearly based on this discussion, it’s great to know that both CMS and organized medicine is working to reduce the burden of reporting office visits, and I very much want to thank my guests, Doctors Peter Hollmann and Barbara Levy, for diving into these proposals with us. It was great having both of you on the program today. Dr. Hollman: Thanks for giving us the opportunity. Dr. Levy: It was great to be here, thank you. Dr. Birnholz: This is ReachMD, and I’m Matt Birnholz. 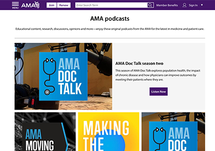 To download this podcast, or access other episodes in this series, visit reachmd.com/AMA. We welcome your comments and feedback, and thanks for listening. 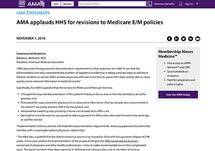 You’ve been listening to Inside Medicare’s New Payment System on ReachMD, brought to you by the American Medical Association. ReachMD: Be Part of the Knowledge. Even amid the recent proposed changes to the documentation rules for office visits, organized medicine is working to reduce this burden on physicians. In response to physicians’ feedback, the Centers for Medicare and Medicaid Services proposed some big changes to the documentation guidelines for office visits. But is there still room for improvement? Co-chairs of the American Medical Association’s CPT/RUC Workgroup on Evaluation and Management Services Dr. Peter Hollmann and Dr. Barbara Levy join Dr. Matt Birnholz to discuss the Workgroup’s effort to further simplify the work of the healthcare provider and improve the health of patients nationwide.